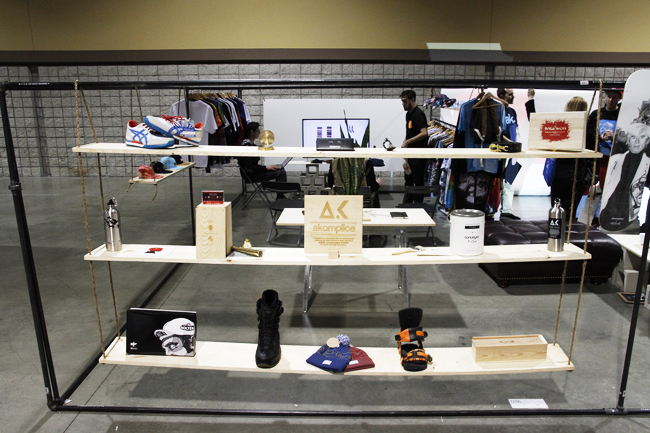 When we were at The Agenda Show in Long Beach last week we remarked that Akomplice had one of the meanest booths on site. 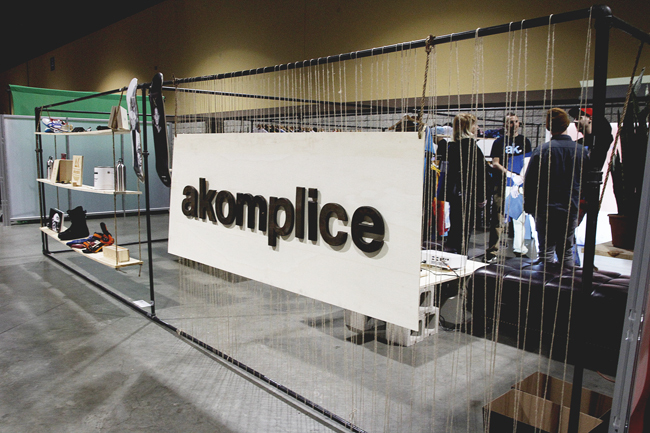 Although we didn’t get a chance to head in and check it out, Akomplice pulled the wraps off the project and showed us their innovative new presentation to preview their latest designs. 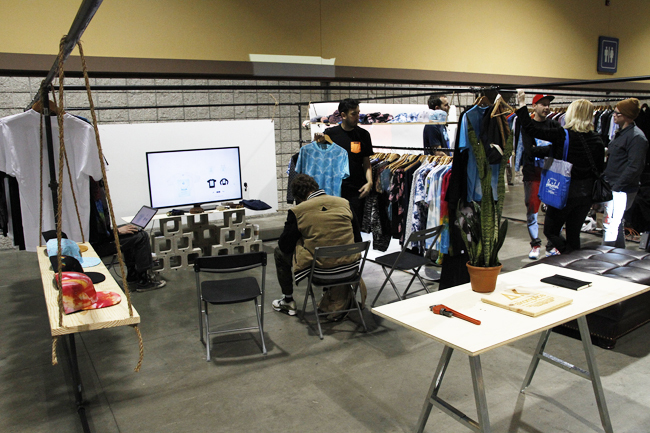 Rather than just rely on hanging up some tees, Akomplice made use of their 20x20ft booth to set up a projector and show off their new prints on a live model in front of a screen. 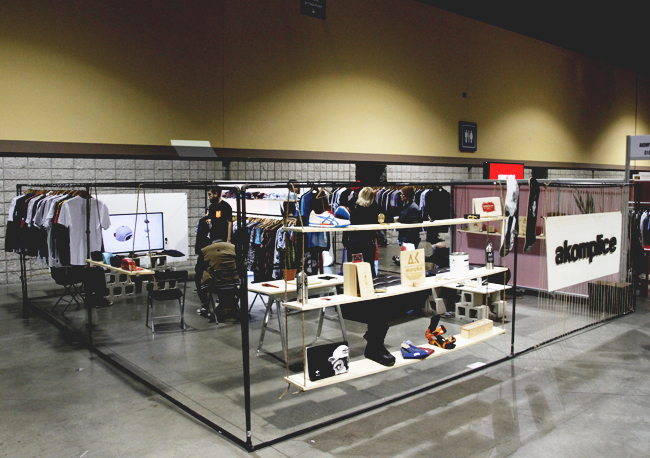 The response from the crowd was huge, with the team saying “we surpassed the great impact that we had initially planned on making”. 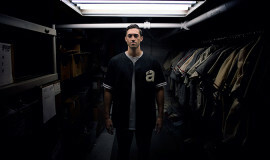 As always, the team pushes forward in their own direction. 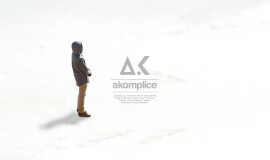 Check out some shots below and make sure to read our interview with the Akomplice team here.